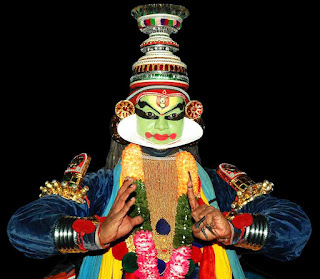 Kathakali, also known as kali or attam is the greatest visual miracle that Kerala has ever presented to the world of performing arts. 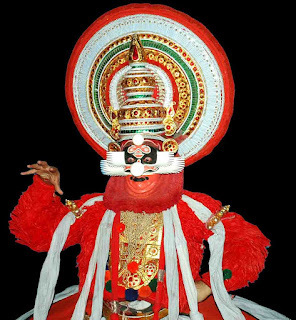 This art form from the God’s own country presents stories from the Hindu epics and represents the cultural heritage of Kerala. Attakatha is the literary side which narrates the respective story in the form of poems and slokas, and its expression or presentation in the stage is Kathakali. In Kathakali meaning of each stanza of the poem is acted out on stage in accurate and well-calculated gestures. 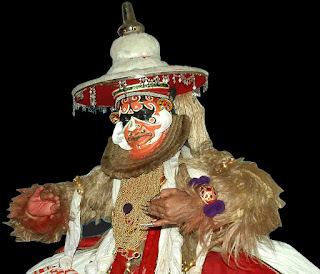 Gestures are indispensable part of performing art and the ones followed in Kathakali are primarily taken from Hastalakshanadeepika. Hastalakshanadeepika mainly describes twenty four basic gestures including both joined hand (using both the hands) and single hand (showing with one hand) gestures. Besides these twenty four gestures of Hastalakshanadeepika there are a few others, known as identical and mixed gestures. Identical gesture expresses more than one symbol with a single gesture and mixed gesture means more than one gesture used to show a single symbol. In this book by Dr. R. Sreekumar, more than six hundred symbols are mentioned and explained in a simple language along with one thousand and two hundred photographs, including twenty four fundamental gestures given in Hastalakshanadeepika, and also mixed and related gestures. 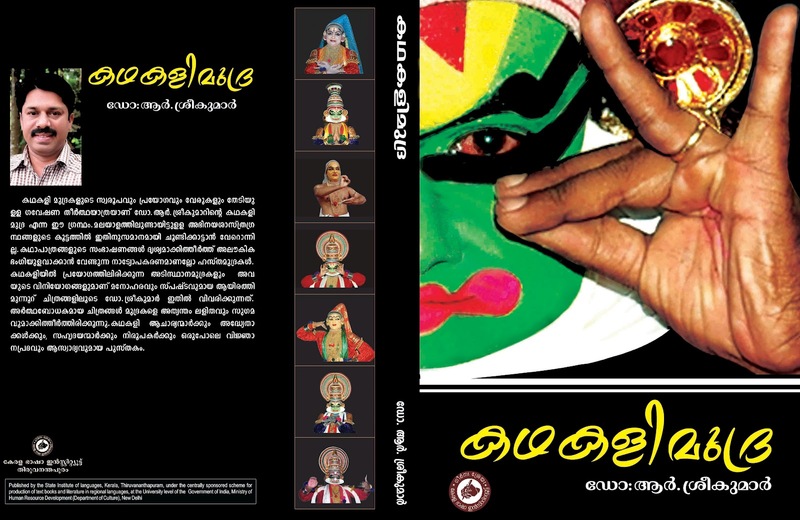 This book is a great guide for those who desire to understand and relish the marvelous art form, Kathakali. 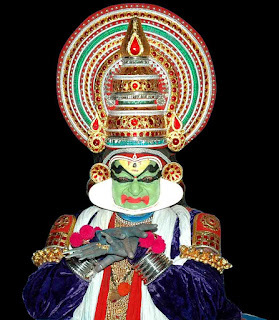 Its a beautiful art form...There was one Kathakali performance and I remember what a painstaking process the make-up was...Hats off to these artists! It is an unique art form and is very intriguing for people out side Kerala. The colors , the wardrobe,depictions, the music, is very enchanting . I would say, the Kerala audience and the people have kept this art form alive and flourishing. Thanks fro the nice photographs. you know a lot about this dance form------i think you must be a dancer yourself-am i right? Good to learn about this visually captivating dance form from the master! Lovely post and enchanting visuals. 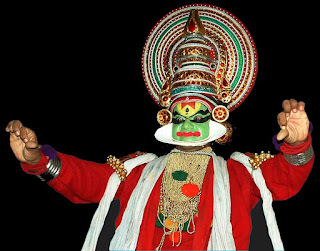 Although I am a Keralite too, I am ashamed to say I have never seen this dance form live. Even though I learnt bharatnatyam and a bit of Mohiniattam, I never explored this beautiful and expressive form of art. Incredible India! Incredible post! I am so delighted. Thanks for the post. My first sight love!! So far I have seen a couple of on stage Kathakali shows and its amazing. I really liked it. I might for for more.